Embossing roll manufacturers have a responsibility to their consumer products company customers to provide flawless embossing rolls that reflect positively on brand quality. Industrial Engraving, LLC, has been meeting those expectations for more than half a century. Industrial Engraving maintains a vintage inventory of every tool the Wisconsin company has ever made in the event a customer requires a new embossing roll using the same design. Some of the most recognizable brands in history have had napkins, wrappers and other products crafted by Industrial Engraving's industrial engraving machines and embossing rolls. The embossing rollers manufacturer works with customers to develop precise patterns that reinforce product branding and generate repeat sales. This is especially important for consumable products in which habit-forming purchases are the lifeblood of consistent revenue streams. Technology has come a long way since Industrial Engraving entered the market of embossing roll manufacturers in 1958. What were then hand-created patterns are now intricately designed using digital transfer technology (DTT). Master engravers still play a role in embossing roll production, and Industrial Engraving leverages a variety of engraving options. 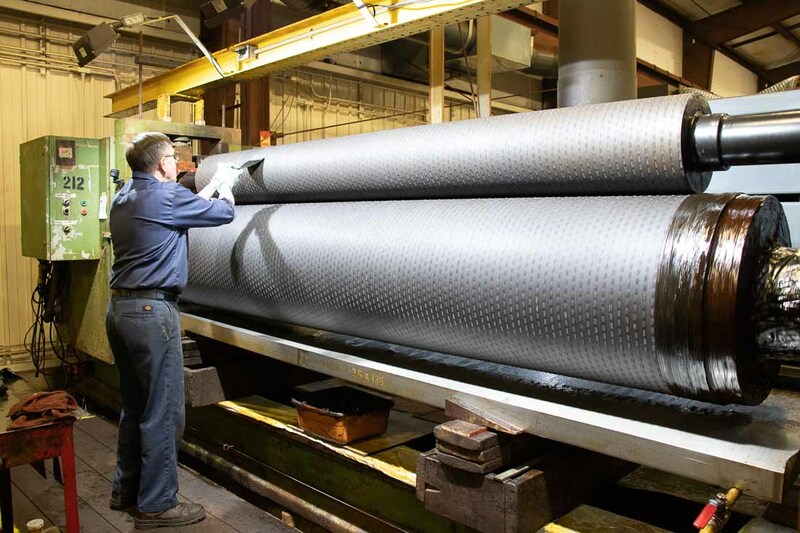 The company uses laser rolls, master rolls, tooling and DTT in the production of embossing rollers up to 48 inches in diameter and 220 inches in length. Extending the life of these significant investments are much less costly than purchasing an entirely new embossing roller. Consumer products companies often opt for this service when designs on embossing rollers become damaged or worn out. Industrial Engraving fills a cost-effective niche among embossing roll manufacturers with its refurbishing and re-engraving services. For more information or request a quote, contact Industrial Engraving at 920-865-7304, ext. 118, or visit http://www.industrial-engraving.com/. View original article on embossing roll manufacturers here.